Posted on 09/01/2018 by Dr. Patrick Young wrote in Weight Loss. It has 58 Comments. The first weight loss drugs, referred to as fat reducers at the time, became available in the late 1800s. Although the drug caused some severe side effects, it continued to be available for use until the 1960s. A new medication known as Dinitrophenol was introduced in the 1930s and it became quite popular in managing weight loss. The drug produced a thermogenic effect within the body, facilitating weight loss. In the mid-1950s, amphetamines became available and turned out to be the weight loss drug of choice. It facilitated weight loss by suppressing appetite. Sadly, it increased the risk of pulmonary hypertension, resulting in its withdrawal from the market in 1968. In the 1970s, ephedrine became a prescribed treatment for weight loss. The drug, however, triggered some adverse reactions that resulted in it being declared a hazardous substance. In 1973, fenfluramine became approved as a weight loss supplement. Its popularity soared in 1992 when it was combined with phentermine to create a weight loss drug known as fen-phen. Sadly, the drug caused some adverse effects, which led to its withdrawal from the market in 1997. In the 21st century, weight loss drug, many based on herbal formulations, flooded the market. Drugs that lower food intake are called sympathomimetic agents. They usually suppress the appetite while inducing satiety earlier than usual. Satiety is the “full” feeling or satisfaction obtained from taking food. Appetite suppressants function by mimicking a neurotransmitter in the human brain that controls appetite, known as noradrenaline (NA). These drugs share a similar chemical structure with NA and can; as a result bind to the same receptors as noradrenaline. Chemical structure of sympathomimetic agents. Below is a brief yet detailed description of all the drugs mentioned above. Sibutramine HCL is one of the most popular appetite suppressants. It boosts both serotonin and NA levels in the brain, which afterward bind to their receptors to control satiety and appetite. Lorcaserin HCl drug functions to control metabolism and appetite. The drug was approved by the FDA in the year 2012 for people with a BMI of more than 30, and for patients with a Body Mass Index of 27 or more who also have high cholesterol, blood pressure, and type 2 diabetes. The drug also functions to enhance the serotonin 2CV receptor in the human brain that can assist patients to feel full after taking less. In medical trials, 38% of adults (without type 2 diabetes) lost more than 5% of their body weight, in comparison to 16% of adults treated with a placebo. 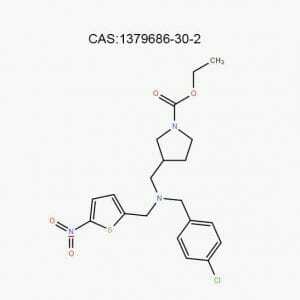 Rimonabant HCL drug is distinct thanks to its novel mode of action as a unique selective cannabinoid-1 (CB-1) receptor antagonist. Endocannabinoids are released in the CNS and stimulate lipogenesis, appetite, and fat accumulation in the periphery. 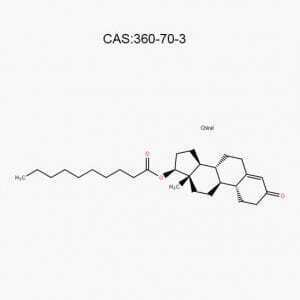 The Rimonabant HCL functions to block endocannabinoids effects. The drug is absorbed quickly after oral administration. The effectiveness of this drug in treating obese or overweight patients was studied in a program of four controlled, randomized trials, known as RIO (Rimonabant in Obesity) program. In these trials, This drug was found to be as effective as orlistat and sibutramine. 2,4-Dinitrophenol (DNP or 2,4-DNP o) is an organic chemical with this formula and chemical structure: HOC6H3(NO2)2. DNP functions as a protonophore, letting protons leak across the inner mitochondrial membrane and therefore bypass ATP synthase. This will make ATP energy synthesis less efficient. As a result, some of the energy which is produced from respiration is wasted in the form of heat. The inefficiency is directly proportional to the dose of the drug taken. As the drug dose increases, energy production becomes more inefficient, metabolic rate raises (and higher amount of fat is burned) to meet energy demands and compensate for the inefficiency. DNP is one of the best agent known for uncoupling oxidative phosphorylation. Phosphorylation of ADP by ATP synthase gets “uncoupled or disconnected from oxidation. Compound p-synephrine is an alkaloid. This means that it is an organic compound which may be found in nature but low concentrations. The compound has nitrogen as a base. 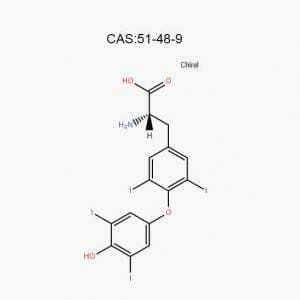 Caffeine, nicotine, and morphine also belong to the class of alkaloids according to researchers. Synephrine is typically seen in dietary supplements for weight management or loss and sports performance. How does Synephrine work in our body system? 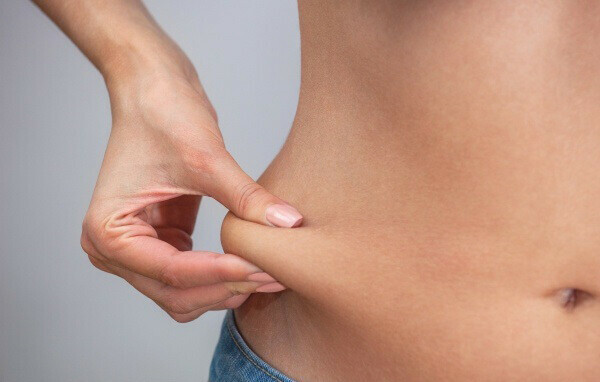 Chemicals in p-synephrine affect the nervous system by stimulating β3 adrenergic receptors that play a significant role in thermogenesis and lipolysis in brown fat. This means that these receptors will enable your system to burn fat for energy. Dimethylamylamine is a drug manufactured synthetically in the lab. 1,3-dimethylamylamine (DMAA) is an amphetamine derivative which has been used widely in sports supplements sold in the U.S. It was being used initially as a nasal decongestant. Nowadays, dimethylamylamine is marketed as a fitness drug used for weight loss, ADHD (attention deficit hyperactive disorder), bodybuilding, and enhancing performance. Clenbuterol, Also known as Clen, is a decongestant and bronchodilator. It is commonly used to protect against asthma attacks. This is a steroid-like compound, but not a real steroid. 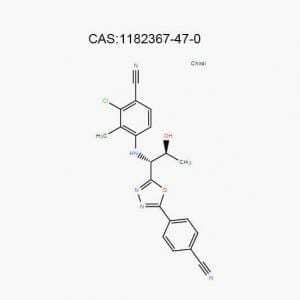 It falls into the category of β2 agonists. Clenbuterol can initiate physiological reactions similar to adrenaline. It activates the beta-2 receptor subtypes in an adrenergic system. This results in the increment of cAMP (ATP’s derivative needed for cellular cross-talk). As a result, protein kinase A increases. Protein kinase A is an enzyme which regulates lipid, glycogen, and sugar metabolism activity. Its increase stimulates a fat burning effect in the body. It enhances other pathways which assist in burning fat via a biological process known as fatty acid oxidation. The fat burned is then used as a source of energy for performing bodily functions. It stimulates the mitochondria to release ATPs, leading to an increase in metabolic rate. It is widely known that an increase in the rate of metabolism assists in weight loss. Salbutamol is a medication that treats chronic obstructive pulmonary disease and asthma and or other COPD-related disorders. The medication’s mode of action is opening or dilating the lungs’ breathing passages during an acute asthma attack. Since Salbutamol has a stimulating effect, some people use this asthma drug to promote fat or weight loss. Albuterol is ideal for use in weight loss program because it has similar effects on the androgenic system like physical exercises. It builds the mass of the muscles and lowers overall weight. It has been utilized by bodybuilders to cut off additional fat from the areas of their body which can be difficult to control or lose fat through other methods. When taking this drug for bodybuilding and weight loss functions, it is most often taken in a pill or liquid form. Although you may use Salbutamol inhaler for weight or fat loss if it is the only option available. Orlistat is a potent pancreatic and gastric lipase inhibitor. All dietary triglycerides are metabolized with the aid of pancreatic and gastric lipases. The lipases enzymatically break down the triglycerides into free fatty acids that can later be absorbed in small intestines. Gastric and pancreatic lipase inhibitors form bonds with the pancreatic and gastric lipases in the lumen of the small intestine and stomach making these enzymes unable to work correctly. Through the inhibition of the action of these lipases, dietary fat digestion is also inhibited, and triglycerides are excreted in the feces. Orlistat weight loss drug prevents around 30 percent of the nutritional fats from meals from being absorbed into the human body system (when 30 percent of the energy in meals is supplied by triglycerides). The average weight reduction after one year with a combination of Xenical (orlistat) and changes in lifestyle is around a whopping 8.5 kg. It is widely thought that orlistat’s gastrointestinal adverse effects act in a similar way to negative reinforcement, which encourages those on this medication to adhere strictly to a low-fat diet. 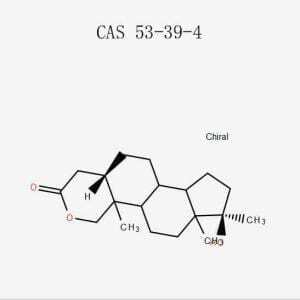 Cetilistat is an orally active, novel, pancreatic and gastrointestinal lipase inhibitor. Cetilistat weight loss drug is a drug manufactured to treat obesity. It functions in a similar manner as the drug discussed earlier known as Xenical (orlistat) by controlling pancreatic lipase, the enzyme which breaks down triglycerides in our intestine. Without these enzymes, triglycerides from our food are prevented from being digested into free fatty acids that can be absorbed and are removed from the body undigested. In clinical trials involving obese patients without type 2 diabetes and in obese patients living with type 2 diabetes. When Cetilistat weight loss powder was administered for twelve weeks, it significantly lowered body weight, total cholesterol, serum low-density lipoprotein cholesterol more quickly in comparison to placebo. The percentage of obese patients showing a considerable reduction in the baseline body weight of at least 5 percent was higher in all active arms compared to placebo. In overweight diabetic patients, the HbA1c (glycosylated hemoglobin) levels were also significantly lowered. Cetilistat weight loss drug showed moderate to mild adverse effects, predominantly causing steatorrhea (gastrointestinal nature) with an incidence lower than that in orlistat. This drug was recently approved in Japan to treat obesity with other complications. As seen from our detailed discussion, there are many weight loss drugs out there which are derived from a wide range organic compounds. Most of these drugs have been found to be effective, and some of them have been approved by various jurisdictions such as FDA and Japan, to mention a few, for the treatment of obesity. After spending many hours researching on weight loss drugs, we were able to identify a few 2018 World’s Best-Selling Weight Loss Powder Supplements. These weight loss powder supplements include orlistat weight loss powder and lorcaserin weight loss powder. Unlike the crap of weight loss supplements found at any drug store, these weight loss medicines which have been prescribed by medical professionals have gone through years of testing to get a stamp of approval from the FDA and several other jurisdictions. We highly recommend that you try these drugs because they have been proven to be not only efficient but also safe to use. I like that there are different medicines for fat burning and digestion. Making the users’ insulin resistance and glycaemic control more powerful is excellent for their bodily transformation. I’m curious though if patients need to be reliant and stay on these drugs for life. I’d like to see a study on the long term effects. Sounds like weight loss supplements continue to improve and evolve over time. I’d be interested if there are any safety requirements with mixing any of the drugs mentioned from different categories. Thanks for sharing this article. 2018 best selling weight loss supplements tested and trusted. I think people that really need these,should try them out.I’m sure it will work like magic. There are many weight loss supplements suppliers in the market. To be honest, I talked with a lot before and AASraw is worth to build cooperation, I guess. Wow, this list is quite overwhelming. I think I now know what kind of weight loss supplement I need. I didn’t even know that there are different types according to function/purpose. Thanks. I didn’t really believe in the “magic” behind weight loss supplements. But that changed when I tried orlistat! I think that’s the best one in this list. Hi Kitty, you can send your requirments to our offical email([email protected]) if you want any weight loss powder. For Prescription or over the counter, it is depends . I will try my best to help you to take but it is better to ask your doctor for professional suggestions. Yes, Our many customers has order kind of weight loss powder.they said it work well and they love it. As for health concerns, it depends, every drug has side effects.So it need to take dosage correctly under your doctors suggestions. There are so many weight loss powder in the market and finding a reliable one that works is a huge challenge. I know people who have tried almost all weight loss supplements without any changes. I guess working out should be the first option to loss fat natrually before taking any prescription medications. I may take this just because I wanna get out of constipation. I may have to clean up my system and easing up on Bowel movements might do the trick. Clenbuterol and Salbutamol sound especially effective in treating obesity and improving bodily functions. Overall, supplements like these seem highly effective and transformative in creating a healthier you. I’d like to be as fit as the woman up top! I love that this supplement’s been prescribed by medical professionals who can vouch for its supremacy. The findings with obese patients were especially impressive. Thanks for sharing! I didn’t know that weight loss supplements have various classifications. I thought they were all about burning unwanted fats! Thanks for sharing! Wow, weight loss really go way back to the 1800s? I have no idea about any supplements and I’m trying to lose weight, so thanks for this informative article! Thanks for this list! So many new things to research on how to get rid of belly fat and how to lose body fat, etc. I recommend the use of all these fat loss supplement since it has gone through years of testing and it has been certified safe and workable. Those weight loss powder can be your body fat burner , liquid diet for weight loss, I am more prefer this way to loss blly fat. We can trust it to work. Certilistat is another good supplement that fat fighters should use.I think it will really be great in the long run when the bodily fat are being absorbed with ease. I will recommend Lorsearin for those with blood pressure and it really good for huge eaters. It will help curb appetite and speed up metabolism. Olistat will be good for me, it sold in the market as alli diet pill. I need to try that out.since it will help to absorbed the fat from food.I will prefer digestion enhancing burner. Orlistat sounds like an excellent alternative for losing weight, I had never before heard about this kind of treatments but I think they are very useful and will be helpful for many people, combined with workout and healthy food habits. Can anybody use those weight loss drugs? I mean is there any health concerns I should consider first? I think that info is important here but, good post overall. Is this available everywhere now? Prescription or over the counter? I wish we have sort of detailed info here. Anyway, at least the medication specs are all here. I have no idea that weight loss powder’s are that powerful. I think you still need regular exercise when taking those supplements. Still, I enjoyed reading the blog! The Cetilistat and Clenbuterol compounds are interesting in how they affect the flow of the body. Cetilistat, it is good digestive system for body, clen can help your body to fat burning. I could see patients requesting these fat loss supplements, given that there are clinically proven studies vouching for them. These are incredible findings! Having a positive effect on blood pressure and boosting glycaemic control are valuable effects to find in a supplement. weight loss workouts, workout plans, diet plans, etc. these are hot topics and I love it, I think it is very helpful for me to start my weight loss plan. Thanks for sharing! I never tried weight loss supplements, and i don’t see myself trying it in the near future. I usually go on a serious diet, do calorie counts and caloric deficit and work so hard at the gym. Weight loss, achieved. I’ve been apprehensive in trying weight loss supplements, but this article somehow gave me an overview of how it really works, and how it is. There are just so many drugs out there, that you really have to decipher which works for you best. Consulting doctors could probably be a good start too. Orlistat worked its magic for me. I believe weight loss isn’t all about drugs alone. We should combine it with physical activity and healthy/balanced diet to really see the results we desire. Wow, these drugs are all overwhelming. Been trying to lose weight for 2 years now, and so far I’m barely seeing results. Maybe it’s time I try taking weight loss supplements. Hi friend, no worry. Every drug has side effects as we know. But its depends. You will get more benefits from weight loss powder if you take them correctly and it will be better associated with sports. Some customers have ordered some sibutramine powder and lorcaserin powder from us, they said it is work well and they are very love it. I don’t think there will be anything hurtful about taking any of this weight loss supplements since it has been endorsed by FDA and Japan.Any of these supplements should be used for weight loss, because they are losing fat fast. Plus weight loss diet plan, you can burning you fat fast. It was good of you to showcase the best weight loss supplements. I read questions like this on weigh loss forums and reasonable answers are hardly given.I hope those that really need this information get to see it. I love eating and drinking, therefore losing weight is always a concern for me. If this supplement is able to take care of my body without having to go on a diet, then it’s great that I can find this article. Thank you! I never tried weight loss supplements, and i don’t see myself trying it in the near future. I usually go on a serious diet, do calorie counts and caloric deficit and work so hard at the gym. Weight loss, achieved. But some of the obese people I have seen, it is difficult for them to loss weight, because simply relying on fitness and controlling calorie intake can’t reach the weight they want. Maybe weight loss tablets can help them. I must ask my doctor first if this is safe for me to take. Is this even available now? To be honest, I just have known a little about sibutramine and orlistat powder from my friend. I guess that I need to learn more then do something. I’m glad you can guarantee these supplements are safe and effective to use. The appetite suppressants like Sibutramine powder and Lorcaserin powder seem the most valuable in how they treat the mind and the body. I could see these drugs having a groundbreaking effect on people’s lifestyles with all the research to credit them. It’s great these have all been clinically proven to lose weight. It’s amazing how some of them work like the Orlistat and Synephrine with digestion and burning fat. Thanks for sharing! sounds good,but does it have side effects worreied about weight but more worried about tummy could it be reduced all other body parts are ok, such as sibutramine, I want to try some but I also worried about that’s side effects. Help me? This could actually save lives, i will definitely make my family and friends aware of this. I mean we need to make sure that whatever it is we’re taking weight loss powder will not cause any harm to our health. I seriously have taken a lot of supplements but nothing ever worked for me. And some of them caused really bad side effects. It’s nice that this article shows a very thorough information regarding this supplement. I hope I can get to try some weight loss powder also avoid some side effects. Any advise? Orlistat powder has good effects on weight loss and I knew someone who was on it. I need to try out Lorcaserin HCL powder since it very good for metabolism and could also suppress urge for food. Doing away with food has always been my greatest problem. This post is really for me since I have to try to lose for a long time now. This post is really timely will have to pick the best supplements for fat burning to use. Then I will think about which weight loss powder for me and buy them in the near future.This really an awesome post. I’ve taken laxative before just to lose weight. However, I guess it has a bad effect on me so I stop taking it. I am still hesitant about the weight loss powder supplement. I have tried so many weight loss supplements before but unfortunately they don’t really work for me. Thanks for this very informative article. As of now, I am liking my body just the way it is. I am quite surprised that there are a lot of weight loss supplement powders out in the market. Been thinking about taking one someday to complement my current lifestyle choice. However, it looks like I need special prescriptions just to even buy one off the counter? Or are there some drugs which I can get without any need for prescriptions? Weight loss powder might not necessarily be good for everyone. People allergen to some nutrients in weight loss powders must look for natural supplements. A well detailed list of world best weight loss supplements.I love supplements because there are always effective especially if potion control and good exercise routine are added as well.Just bookmarked this page for future reference. There are so many drugs which help in losing weight. These drugs are very effective. Meds + workouts and of course proper eating is my weapon in weight loss. Although I stopped it now to keep a bit of fat on. Perhaps when I get back to my routine I will use these. I am trying to lose weight so I am very happy that I came across this article that provides such detailed information around choosing an appropriate weight loss supplement. This gives me some concrete no-hype information in which I can make the best choice for me. Thanks!